This was the second wedding we did for the Fox family this season, and it was just as fun as the first! When we first talked with Christina & Jim on the phone, we knew we were going to get along with our love of all things dogs! 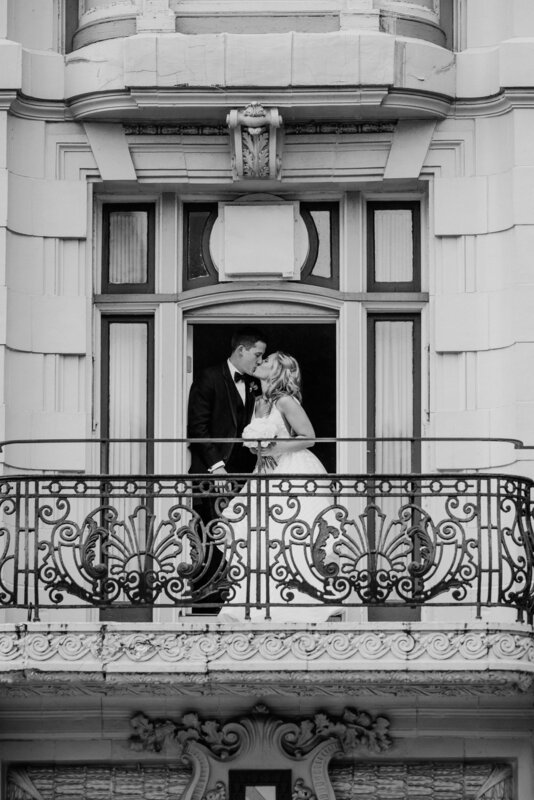 Fast forward to their wedding day in November and it was a picturesque fall day in Buffalo, NY. 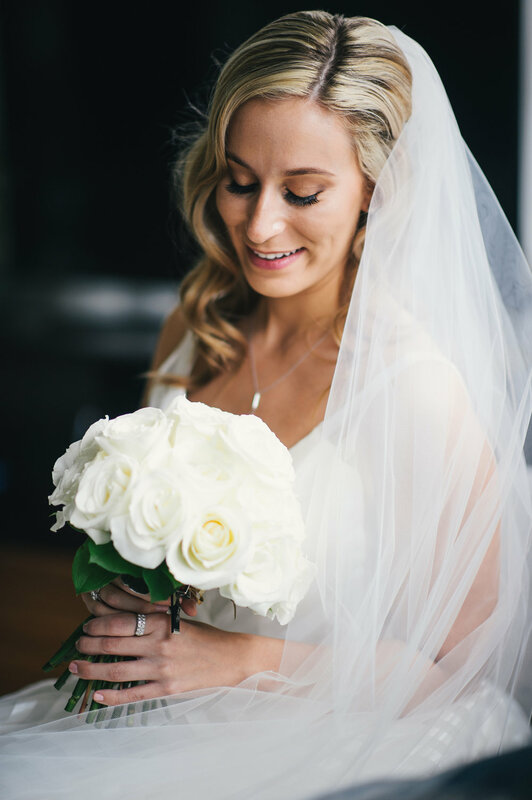 As the bride and bridesmaids got ready in Christina’s childhood home, there was a lighthearted fun energy that could be felt throughout the house. The bridesmaids danced around singing to Britney Spears & Backstreet Boys with the bride on the floor serenading these 90’s classics to her Golden Retriever, Penny. “Alright ladies” the bride directed, “don’t forget there’s no crying in baseball. No one is allowed to cry!” in an effort to keep all things positive and upbeat. An hour later as Christina’s mother is helping her put on her dress, they both started to tear up. “Gosh, there is no crying in baseball!” she says fanning her eyes. 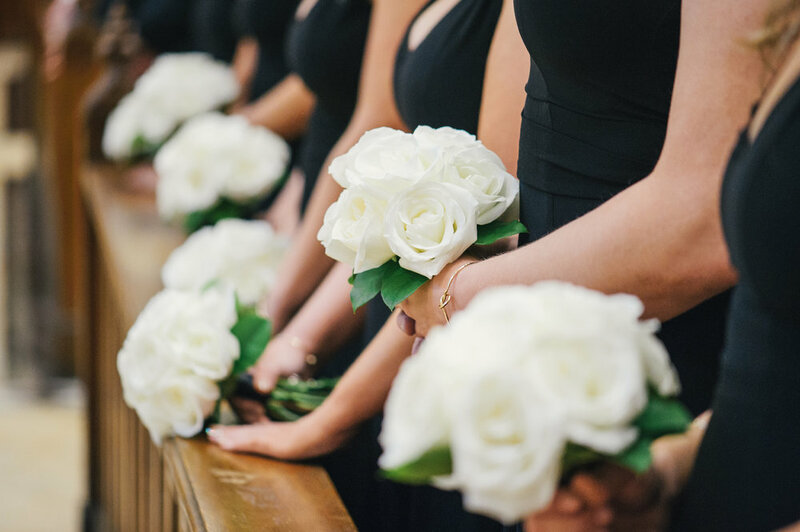 No matter who you are, it’s difficult to evade the strong emotions that come with a wedding day. 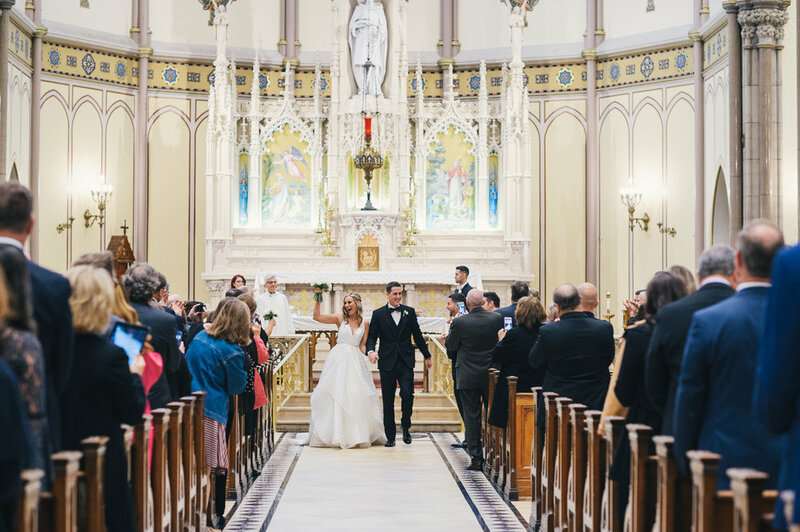 Christina and Jim, who met during their time at Duquesne University, were married at St. Louis Roman Catholic Church. They opted for an unplugged ceremony requesting that their guests put down their mobile devices and personal cameras in order to be fully present in the moment. 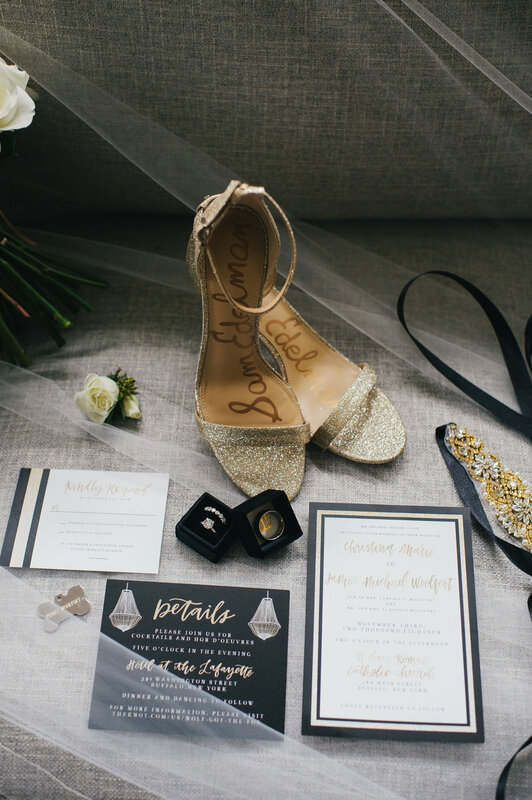 It was an element that they really valued and it helped to stress the importance of the wedding ceremony itself. 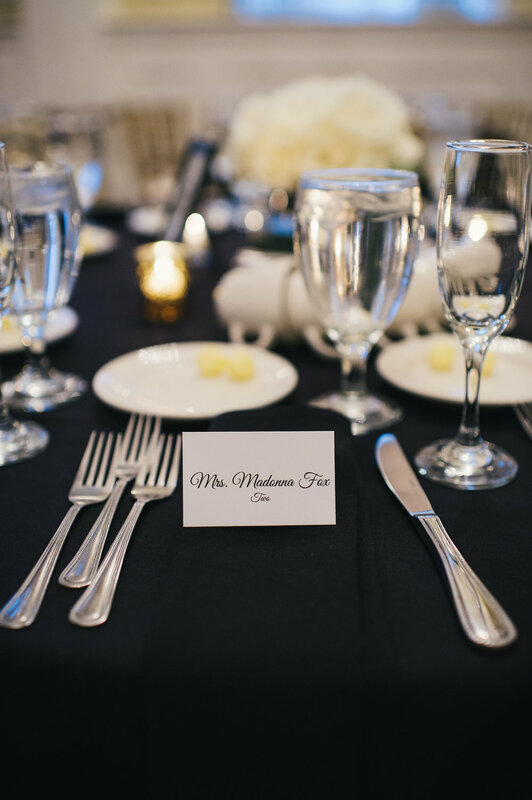 Their reception at Hotel Lafayette was an elegant black tie affair with sleek black and white decor touched with some sparkle and romance of candlelight. 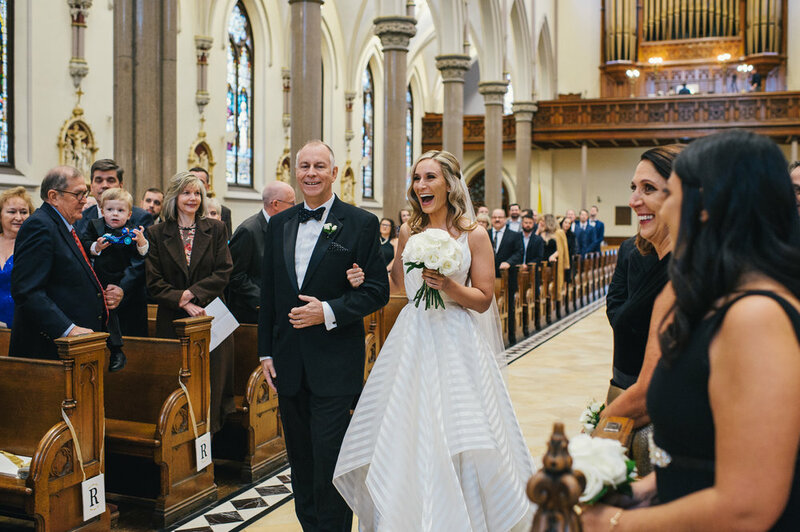 What was also evident was that Christina & Jim’s families were filled with a palpable amount of joy over this union, so much so it just overflowed into an evening of laughter, dancing and a well choreographed father-daughter dance. And despite the wedding being hosted in Buffalo, Jim’s Pittsburgh family did not disappoint bringing trays and trays of cookies with them for a bountiful cookie table selection— including the brides favorites of Italian sprinkle cookies! Cheers to this lighthearted and full of laughs couple— thank you so much for allowing us to have been a part of your special day! 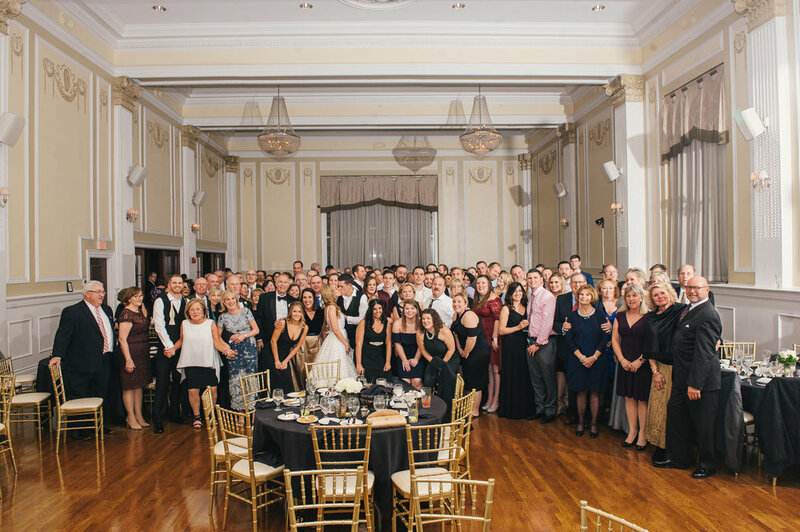 Fine Art Event Planners serving clients in Pittsburgh and Buffalo. Available for world wide travel.